Abang122 old blog namely RJBO is just a blog just to sell some computer, not a story of his life, as I expected. 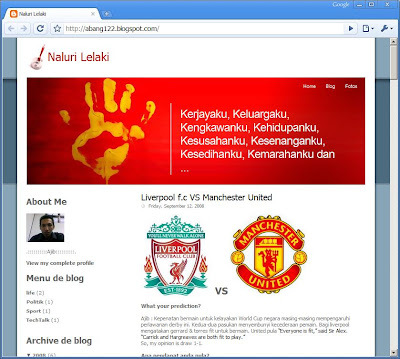 But recently Abang122 has create a new blog with a new blog design. His blog is named "Naluri Lelaki".